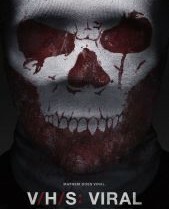 Stylish Poster for a Stylish Short: V/H/S Vir..
Teaser: V/H/S: Viral’s Bonus Segment, G..
Review: V/H/S Viral Feels Like a Rushed Antho..
Red Band Trailer for V/H/S: Viral Brings the .. 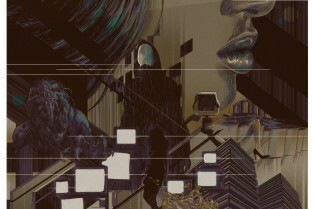 Ahead of the film’s U.S. at this year’s Fantastic Fest, Magnet Releasing has debuted a new poster for the upcoming V/H/S: Viral which you can check out after the jump! This entry welcomes Nacho Vigalondo, Marcel Sarmiento, Gregg Bishop, Justin Benson and Todd Lincoln. You can check out a previously-released trailer by clicking here. Magnet has announced an October 23rd VOD release date, which will be followed by a limited theatrical run on November 21st. Fantastic Fest 2014 Wave 1 Films Revealed: Tusk, VHS Viral, Horsehead & More! This is going to be an incredible year for Fantastic Fest. It’s the 10th anniversary, also, the event is returning to the all-new Alamo South Lamar and Highball. If you recall, Fantast Fest took a break from that location because it was being totally rebuilt. I’ll be heading down for the fest which takes place September 18-25th in Austin, Texas. Today, the first wave of films has been revealed. Before I share those with you, check out that FF poster art by none other than Geoff Darrow. The next chapter in the anthology horror series V/H/S – entitled V/H/S: Viral – will be making its way to the big and small screen this fall, courtesy of Magnet Releasing. This entry welcomes Nacho Vigalondo, Marcel Sarmiento, Gregg Bishop, Justin Benson and Todd Lincoln. You can check out a previously release trailer here. 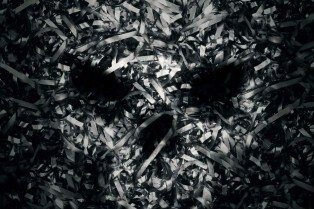 I really hope this trailer isn’t full of V/H/S: Viral’s money shots. 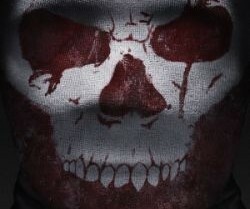 Less than a few hours after getting word that a new entry in the series will be hitting theaters and VOD this fall from Magnet Releasing, a promo for the threequel has hit the web. Nacho Vigalondo, Marcel Sarmiento, Gregg Bishop, Justin Benson and Todd Lincoln are the filmmakers on board this time and the trailer is a good one. That’s the sales poster you’re looking at, too, courtesy of Deadline. Magnet Releasing, a genre arm of Magnolia Pictures, has picked up V/H/S: Viral, the third installment in the anthology horror series. The film features segments from directors Nacho Vigalondo (Timecrimes, Extraterrestrial), Marcel Sarmiento (ABCs of Death segment “D is for Dogfight”), Gregg Bishop (Dance of the Dead), Justin Benson (Wrecked) and Todd Lincoln (The Apparition).